Chelsea™ doll and her pony are ready to ride! 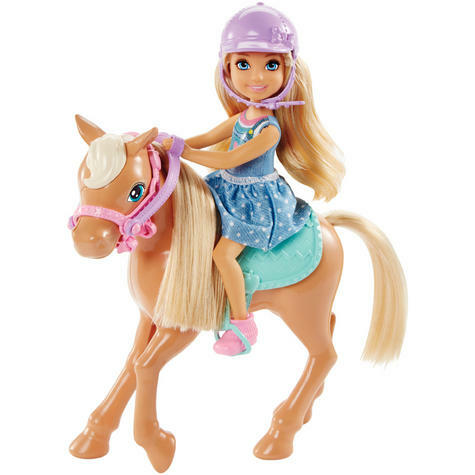 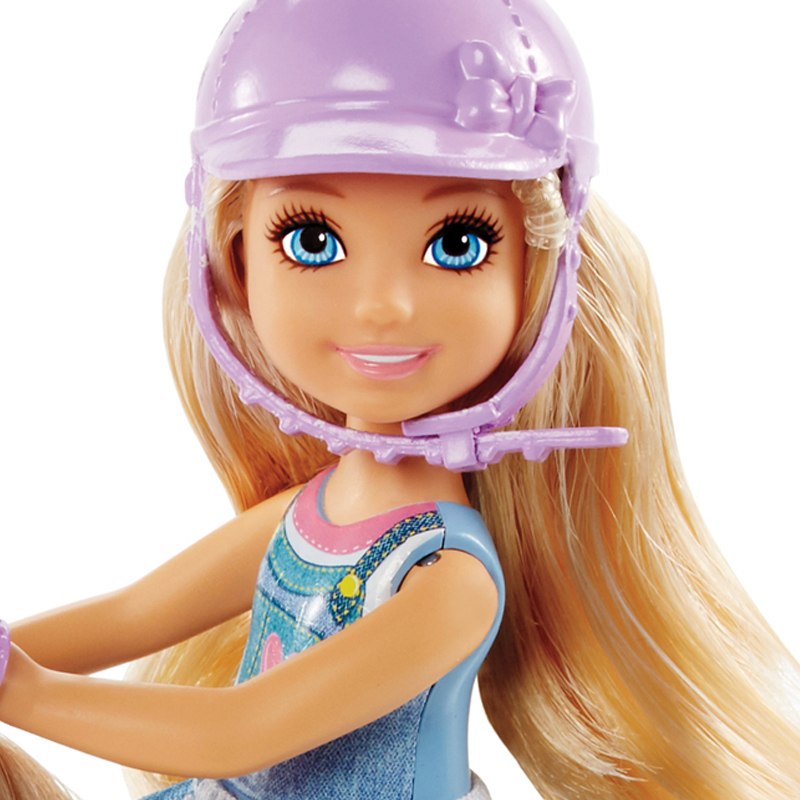 Seat Chelsea™ doll on the sweet pony's bright saddle - don't forget her purple helmet for safety - and let the fun begin. Flexible knees make it easy to put Chelsea™ doll's feet in the stirrups. Barbie® doll's littlest sister is dressed in a fun blue skirt with white polka dots and pink shoes. 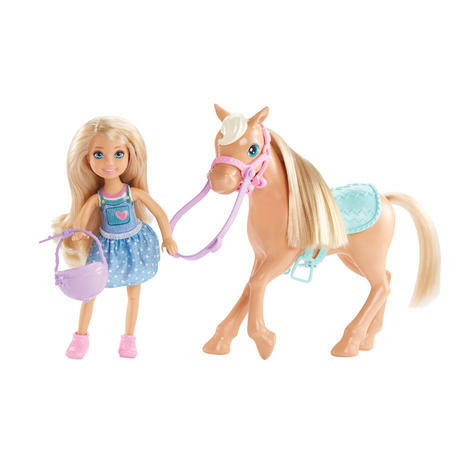 Her pony has a removable bridle, reins and saddle in matching colours. 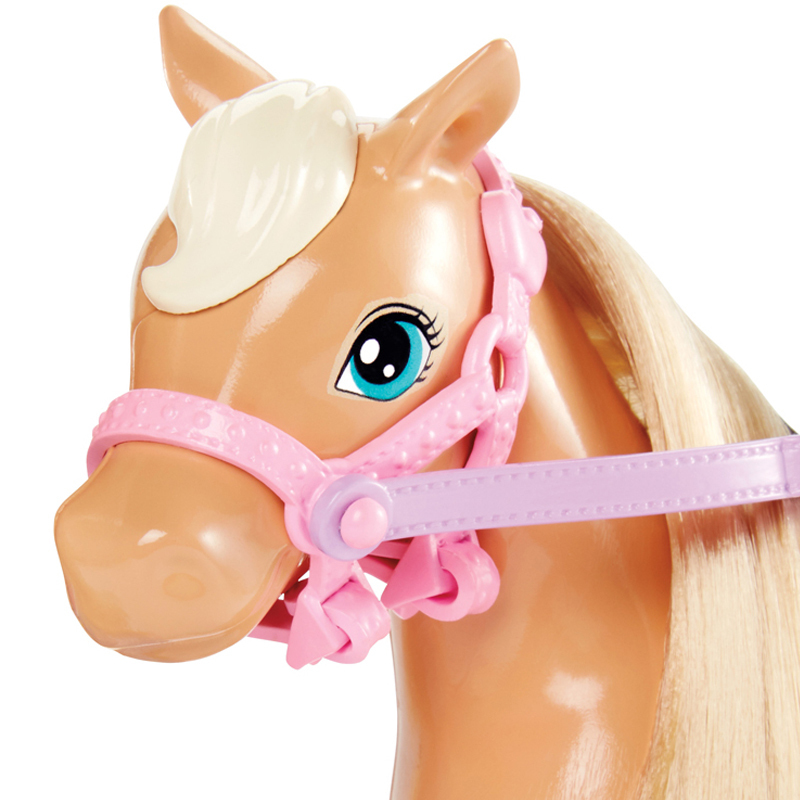 A soft mane and tail add even more fun and sweetness. 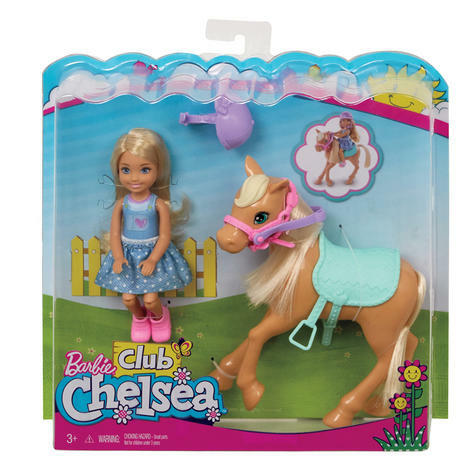 Collect all of the Chelsea™ dolls and accessories for even more exploration and fun possibilities (each sold separately, subject to availability). 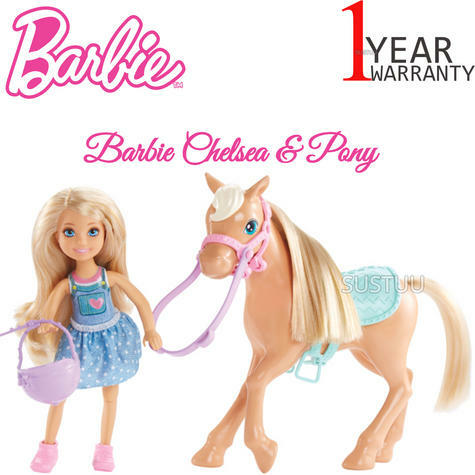 Includes Chelsea™ doll wearing skirt and shoes, pony with riding gear and a helmet for Chelsea™ doll. Colours and decorations may vary. 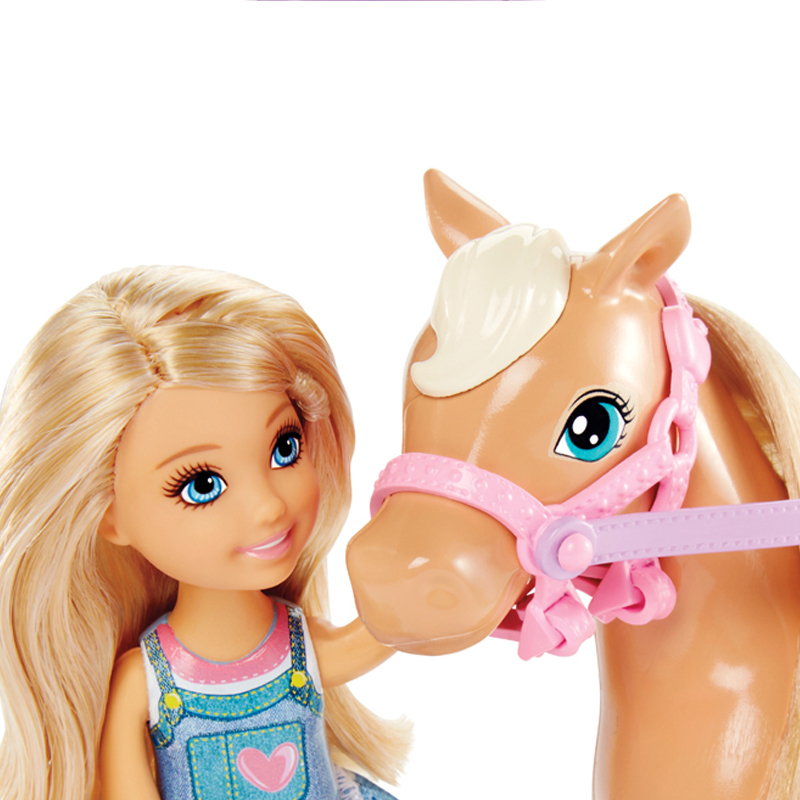 Chelsea has flexible knees to make it easy to putChelsea™ doll’s feet in the stirrups forhorseback-riding adventure.